The people vying to succeed him may not be talking on the campaign trail about the Arctic, but President Barack Obama continues to view it as a top priority, a White House official said Wednesday. 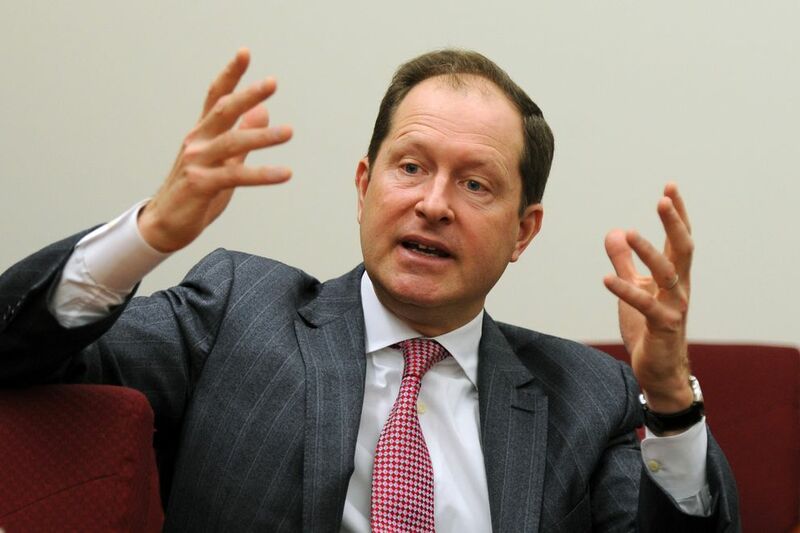 Mark Brzezinski, chairman of Obama's Arctic Executive Steering Committee, said the administration wants to be sure that the next president will continue to focus on the far north. "What we wanted to do was to produce an outcome that would transcend this administration, and make the case for it, and then whoever is elected, we hope, seizes that baton and runs with it," Brzezinski said in a meeting with Alaska Dispatch News staff. The U.S. chairmanship of the eight-nation Arctic Council "is not over with this administration," Brzezinski noted. A big Arctic Council ministerial meeting is scheduled for Fairbanks in March; Robert Papp, the nation's special Arctic representative, is hoping to present some completed council-endorsed projects by then, Brzezinski said. The message that the Arctic and Alaska are important to the rest of the world has been overshadowed lately, Brzezinski acknowledged. "Communicating the Arctic during a presidential season, particularly this one, it's not easy, let me emphasize that," he said. Fortunately, he said, last month's White House Arctic Science Ministerial meeting, attended by delegations from 25 countries and the European Union, got some attention. Connected to the ministerial meeting were some important international commitments, he said. The U.S. government last month released a new Arctic-wide digital elevation map that gives detail down to the 8-meter scale, a big improvement over previous mapping that was at the 30-meter scale, he said. More improvements are coming, with mapping expected in the next 12 months that will be down to a 2-meter scale, he said. Such digital mapping gives important information about changes to the Arctic landscape, he said. The European Union, meanwhile, has pledged to start a five-year Arctic observing program involving scientists from 14 nations, according to a fact sheet released at the ministerial meeting. The United Kingdom, which is leaving the union, has pledged to start fieldwork in 2017 on a five-year program to monitor changes in the Arctic Ocean, according to the White House fact sheet. And the Arctic Science Ministerial meeting may become a regular event, Brzezinski said. Already, the European Union has pledged to host an Arctic science ministerial meeting in 2018, he said. The president wants to be able to announce more Arctic milestones before he leaves office in January, Brzezinski said. Though he did not make any predictions about the presidential election's outcome, Brzezinski noted that Democrat Hillary Clinton, as secretary of state in Obama's first term, has shown interest in Arctic affairs. In 2011, she traveled to Nuuk, Greenland, where she was the first U.S. secretary of state to attend an Arctic Council meeting. She followed that with a tour of the Arctic Ocean. Republican Donald Trump has mentioned Arctic or Alaska issues only rarely. In May, he accused Obama of completely blocking Alaska oil production in what he called "the reserve." "He's taken it completely off the table," Trump said in a speech delivered in Washington. Trump didn't clarify what he meant by "the reserve," but if it was the National Petroleum Reserve-Alaska, the only petroleum reserve in the state, ConocoPhillips is already setting up to produce oil there, with approval by federal agencies. If he meant the coastal plain of the Arctic National Wildlife Refuge, it would take an act of Congress and approval by a president to drill for oil there. Trump also objected to last year's decision by the Obama administration to officially use the name Denali for North America's tallest peak. If elected president, Trump said then, he would restore the "Mount McKinley" name.